Squeaky Books: The newest from Taylor, MacLaurin, and more! *sigh* I actually chose this life. Does that make me crazy? Probably. I read FOUR books last week. FOUR! I was so pleased with myself. Doesn't look like I'll reach that quota this week, but I'm trying. Taylor, MacLaurin, and power series are putting up quite the fight. Luckily, there's just a little more than two weeks of this calculus crash-course left. P.S. I probably made some mistakes up there. Feel free to point them out. What subject are you taking up? 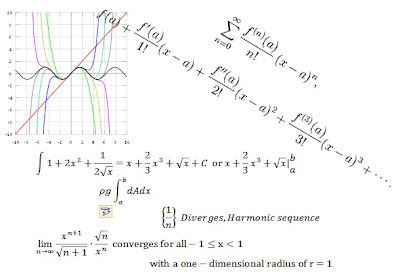 The integrals and differentials look vaguely familiar haha I'm sure I studied those when I was in college and promptly forgot about them after. I was an Electronics Communications Engineering major before. Hang in there, little flower! You can do it!